Regional Development Australia (RDA) Hunter is collaborating with RDAs Central West and Southern Inland to pilot a program that provides students in years 5 to 8 in each region with age appropriate STEM skills and pathways to STEM jobs. Funded by the NSW Department of Education, the STEM Industry School Partnership Program (SISP) matches schools in each region with an industry partner and technology program. The pilot will be guided by the recommendations identified in the National STEM School Education Strategy (December 2015) and Optimising STEM industry-school partnerships: Inspiring Australia’s next generation (April 2018) papers both supported by the Education Council. RDA Hunter will partner with NSW Health Pathology and Cessnock Academy of STEM Excellence (CASE) primary and secondary schools to introduce primary and secondary students in Cessnock to STEM opportunities in Health Pathology in the Hunter. Central West will partner with the Ag-Tech Industry and Southern Inland with Energy and Resources. 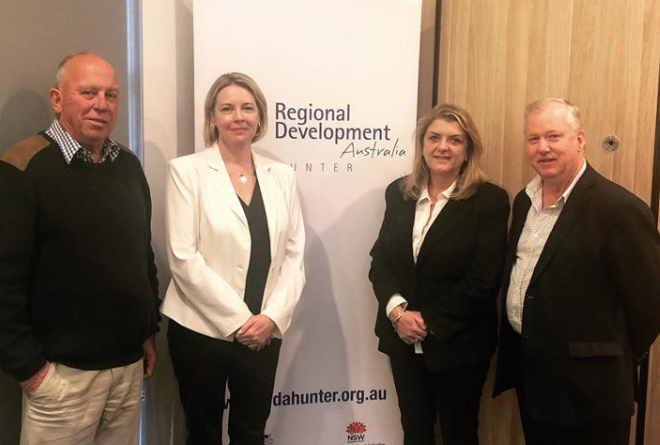 The SISP will build on the successful school/ industry partnerships and workforce development initiatives that have been undertaken in the Hunter Region by RDA Hunter, who will provide a mentoring role in this project. An initial information summit was hosted by RDA Hunter at Williamtown on Tuesday 7th August where representatives from RDA Central West and Southern Inland, schools from each area and Department of Education met to discuss the project deliverables.